Hahaha... I wonder who that is? Lmao! 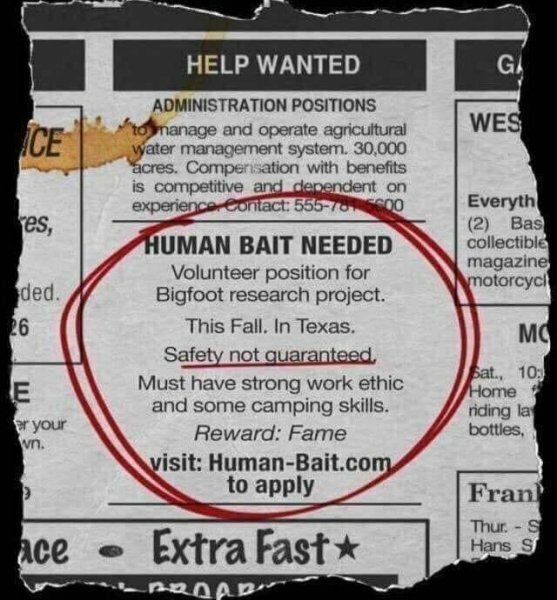 Safety not guaranteed, but I’m sure it pays well enough..
Lol. Thanks for sharing. I recommend Norse. Then the question become who or what is the bait. Ive been hunting alone in storms with bright orange on for years.....everything Paulides says not to do. NAH. If that was the case the 'Squatches would be sitting around your campfire, pattin' you on the back, and handing out beers. I think I'd make sure the playing field is not a shipping container with handcuffs first, but then, that might turn some BF researchers on! Links to a Rick Roll. 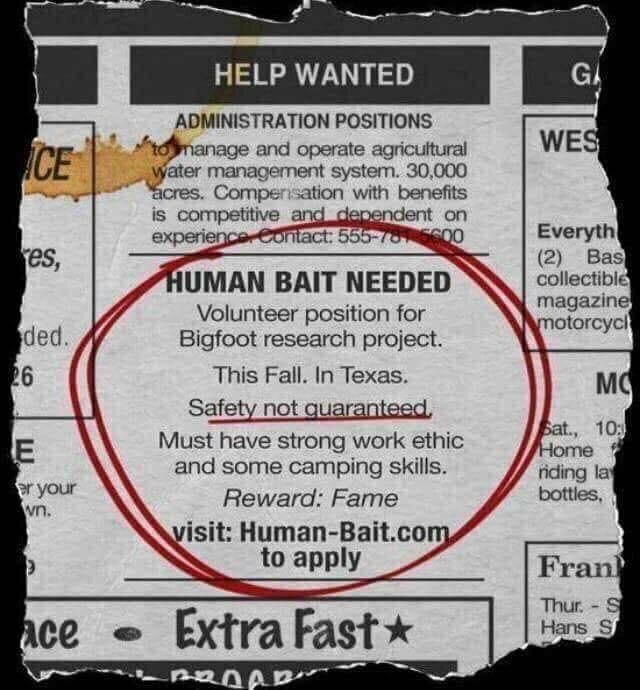 Reminds me of the ad seeking someone to travel through time. You had to supply your own weapons. I remember answering that ad, then waking up....seeing it again. I sure hope that guy found someone to help him!!! We just got Rick Rolled.